Massive thanks to Jen who has been blogging about our fundraisers & previews while we have been too busy panicking. Panic is over. Now is time for Fear. It's our fifth year at the Fringe as Sh!t Theatre and, like a sort of Scottish Stockholm Syndrome, we've come to love our weird art prison. Probably because we've known nothing else since we were 18. Sh!t Theatre are heading down to Brighton this weekend! 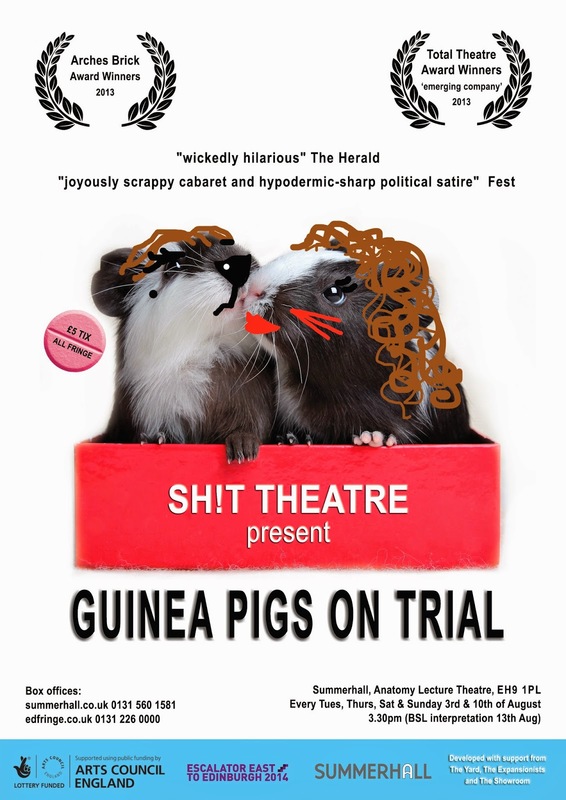 We will be performing two Edinburgh previews of Guinea Pigs on Trail at the lovely Malborough Theatre. Here's a link to ticket buying! Come over, give us some feedback and have a drink!